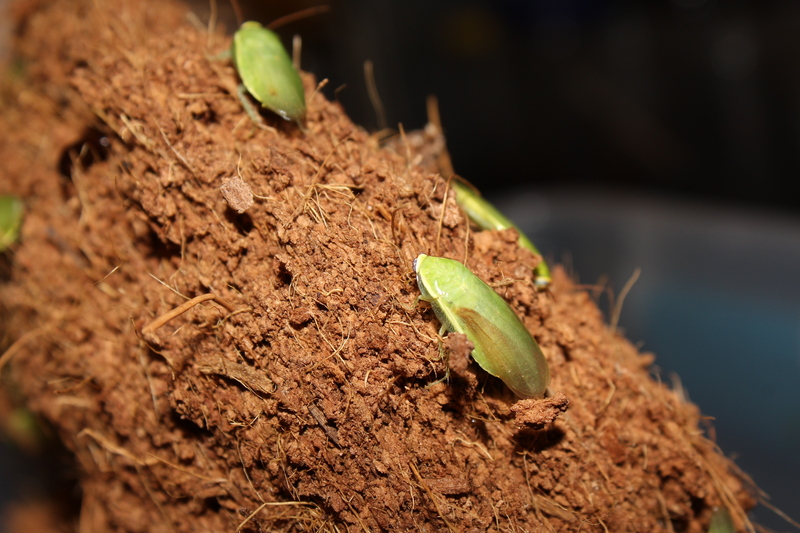 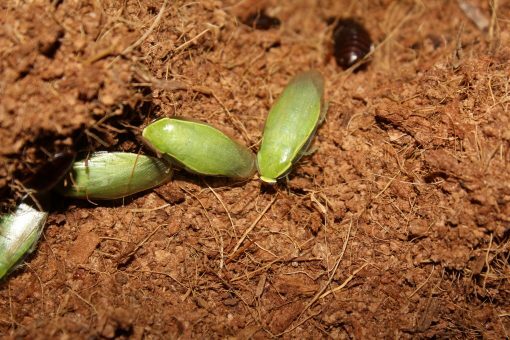 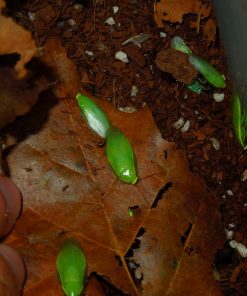 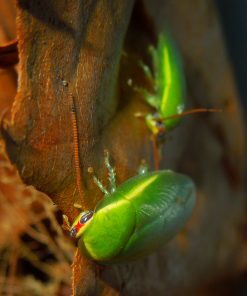 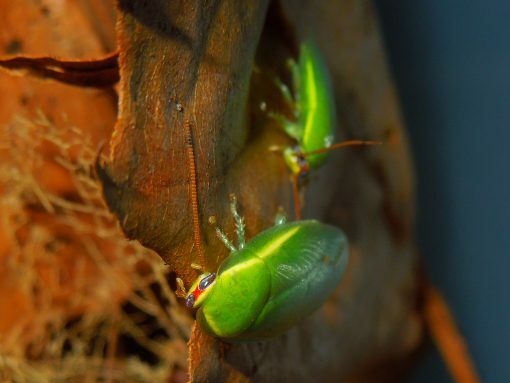 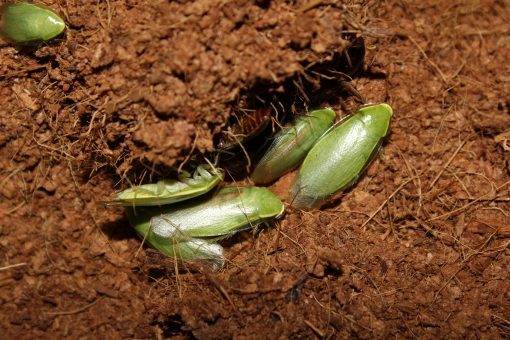 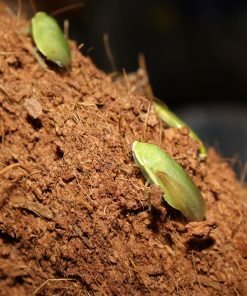 Banana roaches are beautiful green roaches that make great feeders for chameleons and other animals that eat small to medium sized roaches. 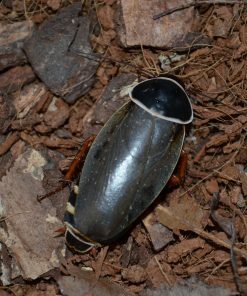 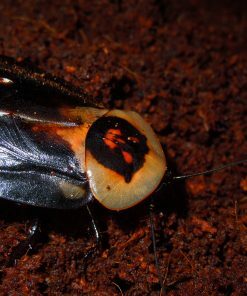 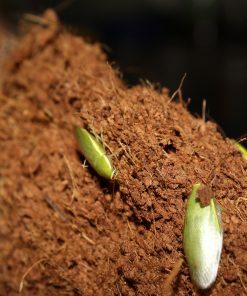 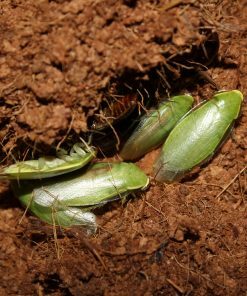 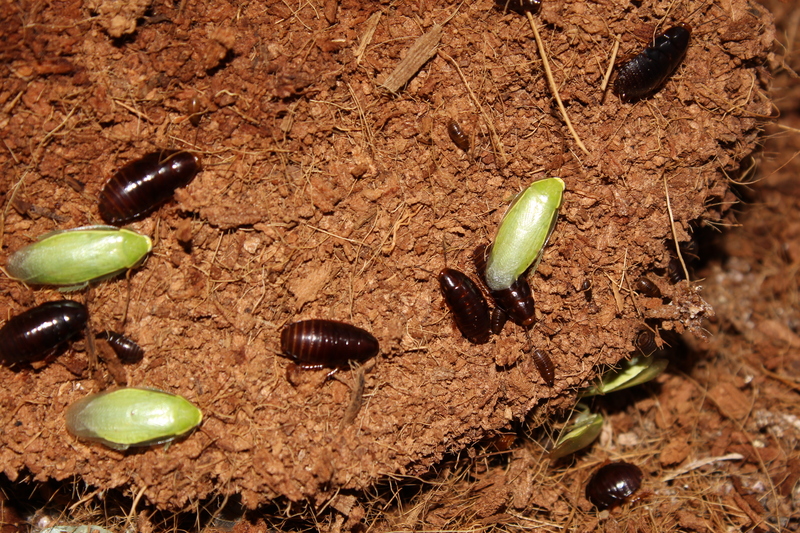 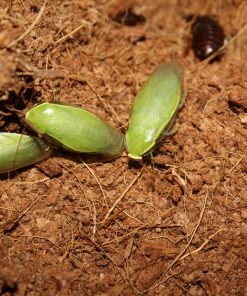 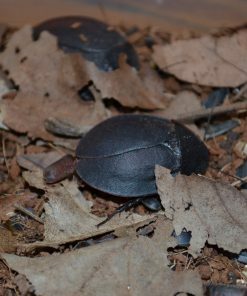 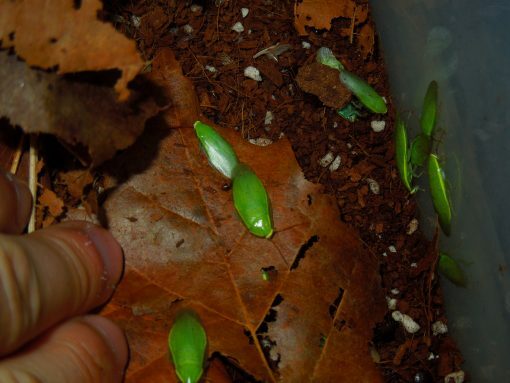 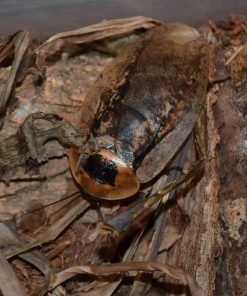 Nymphs are black and burrow through the substrate. 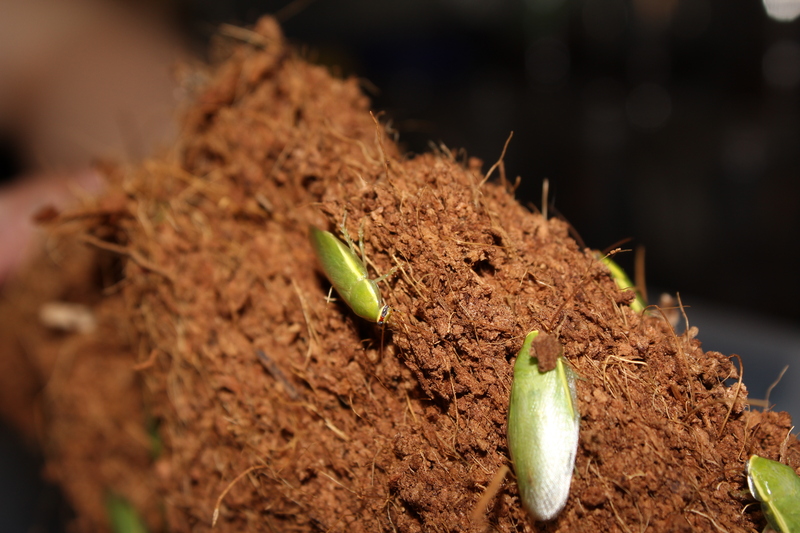 Adults are bright green and tend to stay above ground. 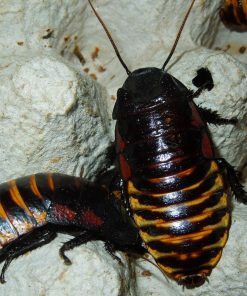 This species appreciates a variety of fruits and vegetables such as carrots, potatoes, apples, bananas, or oranges, and likes a moist substrate. 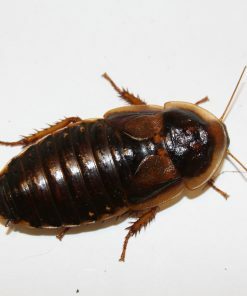 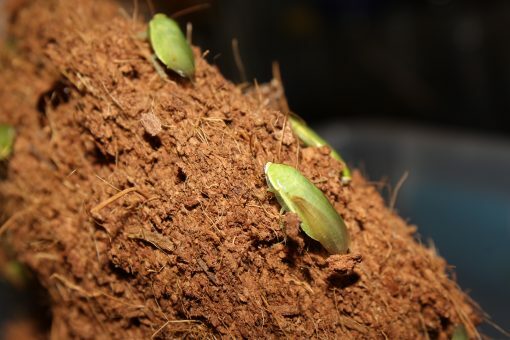 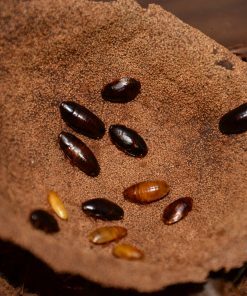 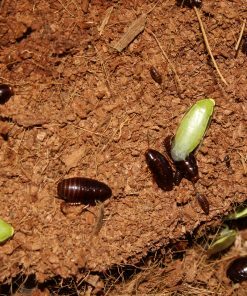 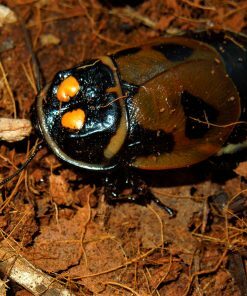 These roaches should have a substrate like coco fiber to burrow into.